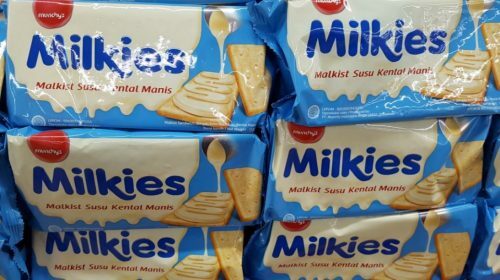 Perfect Food (Julie’s) and Munchy Food Industries (Munchy’s) are the two leading Malaysian biscuit companies working aggressively to expand their market in neighbouring Indonesia. Perfect Food currently does not have a factory in Indonesia. Its products are distributed by PT Dima Indonesia, a business partner since 2009. During the meet the press and blogger event in September 2015, also known as “A Day with Julie’s”, the company introduced its flagship Julie’s Peanut Butter Sandwich and Julie’s Hershey biscuits, a collaboration with The Hershey’s Company. The company also unveiled its local brand ambassador Rianti Cartwright, an actress, model, presenter and VJ (image below). 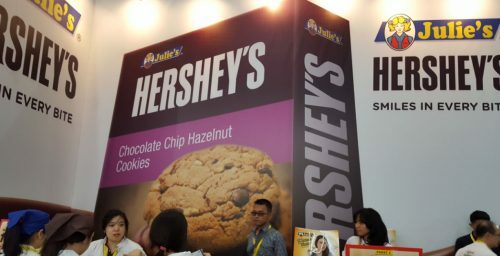 Judging by the company’s booth at SIAL Interfood 2016 in Jakarta in early November 2016, it is obvious the company is counting on the Julie’s Hershey’s range, which is popular in Malaysia, to achieve similar success in Indonesia where consumers tend to have a sweet tooth. In January 2016, Munchy Food Industries saw the commencement of its factory in Bogor. 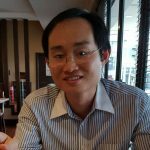 The company currently has three manufacturing facilities in Malaysia, Indonesia (Bogor) and China and is exporting to more than 50 countries. Munchy Food registered total revenue of RM 500 million in 2015. As a comparison Perfect Food sales reached only RM 280 million in 2014, up 30% from 2012. The of Perfect Food is to achieve RM 500 million sales in five years. Julie’s tagline in Indonesia is “Instant Addiction” or “Sekali gigit langsung nagih” in Bahasa Indonesia. The focus is more on the indulgent aspect. At the moment, Julie’s does not seem to have a presence in social media. For Munchy Food, achieving the balance is what the “Balance itu enak” or literally translated as “balance is tasty” is all about. 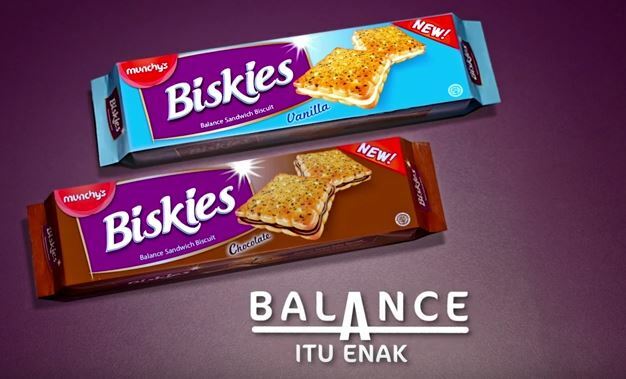 The My Biskies biscuits comes with the balance taste of sweet and salty as well as the crunchiness of the biscuit and the smoothness of the cream. Donita is the brand ambassador of Munchy’s in Indonesia. Also available is the Munchy’s Milkies with sweetened condensed milk. Compared with Julie’s, Munchy’s has a stronger presence in social media with its own Facebook and Twitter accounts for My Biskies. As of 26 November 2016, the Twitter account has 2,614 followers, while the Facebook account has 55,412 people like it. My Biskies also has a Youtube account with a link to the video of My Biskies, uploaded in September 2016. The Instagram account has 3,207 followers. 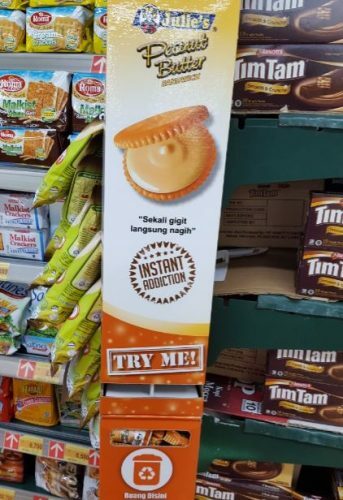 Perfect Food uses the distribution model to sell its biscuits in Indonesia. Munchy, on the other hand, has set up a production presence and this is also a good indication that it has the desire the grow the market over the long run. 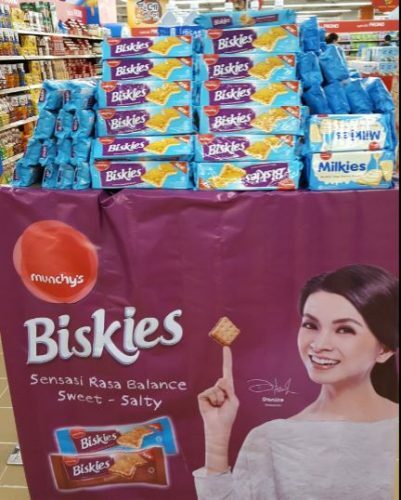 The Biskies brand is expected to grow by 200% in 2017 after posting strong growth in 2016, said August Anwar, PT Munchy Indonesia brand manager for Biskies and Milkies. He see strong growth in the sandwich biscuit category but also intense competition. Alfamart Philippines to sell medicine?